There are many types of robots with different usage areas. Industrial robots, domestic robots, entertainment robot and hobby robots are some of those. Our robot projects consist of mobile hobby robots having the ability of autonomous movement in a given environment. Hobby robots are funny, easier to make than the other types, educating and interesting. You have no limits while you are designing your own robot. We present you some examples of robot projects: Explorer robots, cleaning robots, security robots, line follower robots, sumo and mini sumo robots, obstacle avoider robots...etc. 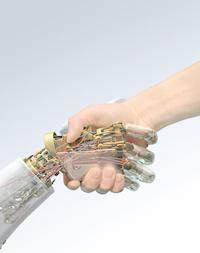 Robotics is a combination of electronics, mechanics and software. Today robotics has a big role in education, industry, science and researchs and spreads worldwide. Day by day more people start to interest in robotics. As a hobby robotics provides many benefits such as creativity, design ability, opportunity of improve yourself in electronics, mechanics and software, wide vision on the projects, handicraft...etc. Robotiksistem aims to help the people who interests in robotics by presenting different robot projects and robot circuits and also by giving information about robotics. 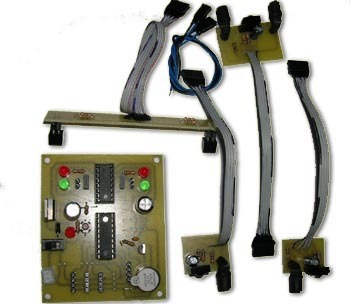 The circuits of the robot projects consist of three main parts; which are the control part, sensing part and output part. The sensing parts includes the sensors that are needed to detect the necessary changes of the environment such as light, voice, temperature, objects...etc and to transport the suitable signals to the control part. 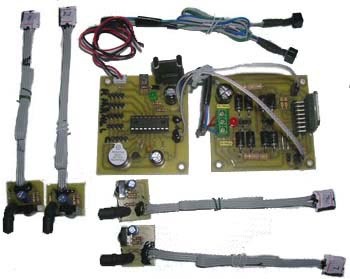 The control parts of the circuits includes the microcontrollers which are programmed by the robot maker. The microcontroller takes the signals from the sensors, performs the processes according to its programme and gives the output signals in order to realize the necessary actions. The output parts are the motor driving parts of the robots. There are different types of motor driving circuits for the different types of motors. The current and the voltage that is needed by the motors is important while man is designing the motor controller part of the circuit.